Days when volunteers are needed are shown in green. Parents simply click on a 'sign up' link and they're signed up. 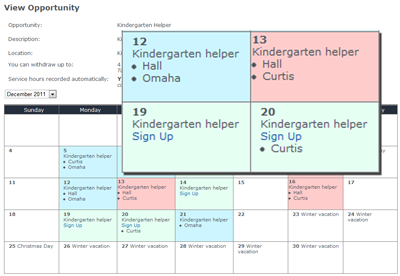 Days that the user has already signed up for are shown in blue. Users can see which parents are doing which slots making it easy to switch.